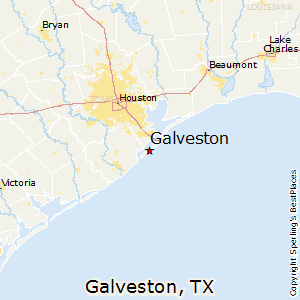 Galveston is an island city on the Gulf Coast of Texas. It is the community of 2010 sq. miles with an estimated population of 50,200 according to 2015 census. Much of Galveston’s economy is centred on tourism, health care, shipping and financial industries. The University Of Texas Medical Branch campus with more than 2500 students is a major economic force of the city. Galveston is home to six historic districts with over 60 structures listed in National Register Of Historic Places. It is known for its Moody Gardens, amusement rides and restaurants. The very first inhabitants of Galveston Island were the Karankawa Indians. They enter the city in 1528 when Spanish explorer Cabeza de Vaca, and his ship-wrecked party, were stranded on the Island for six years. Campeche was the first European settlement on this island. It was founded by the Pirate Jean Lafitte in 1817. The world class deep water port was discovered by a group of entrepreneurs in 1836, and by 1839, the City of Galveston was legally incorporated. By the late Nineteenth Century, Galveston was one of the richest cities in the world, on a per capita basis! Unfortunately, much of the “magic” was destroyed when the 1900 Storm damaged a lot to the City, and 6000 people were killed. This event is one of the worst disaster in American history! 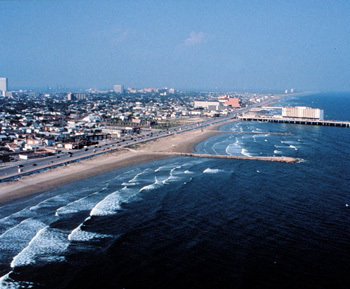 Galveston is one of the most popular vacation destinations in Texas. This lovely island city on the Golf Coast has many charms. Here, is a list given below of some of the best things in Galveston city. Bishop’s Palace is also known as Gresham’s Castle, is a riot of coloured stone, rare woods, exquisitely carved decorations, bronze dragons, and stained glass on outside. On the inside, it is Victorian opulence, with immense fireplaces, luxury furniture, sculptures of all kinds, and beautiful textiles. It is located in Historic District and is considered one of the city’s dearest treasure. This is located in downtown Galveston, Texas and is registered as a National Historic Landmark District. It consists of a number of beautiful Victorian buildings. Moody Garden is in Golf Course is a lavish 18-hole public golf course which is open all seven days of the week. You can book a tee time and get ready to hit some balls in holes on the breathtaking seaside course. Are you planning of relocating or moving in or around Galveston, TX? Then you need a reputable moving company you can depend on. When it comes to the moving company that completes such tasks in a timely and efficient manner, M&M Movers skilled movers are just a phone call away! M&M Moving Company offers short- and long-distance moving, packing services and much more. Be it a residential or commercial moving service that you need, we are the crew to turn to! Just give us a call and let our movers be of assistance! ii) WHY WOULD YOU NEED OUR ASSISTANCE? Do you really want to be sure that your stuff is in good and skilled hands? Then you cannot afford to ignore what M&M Movers has to offer. The packing and trucking delivery service we provide is the reliable and hassle-free solution to all your goods moving needs. Our company is fully licensed. This guarantees your satisfaction and the well-being of your goods. ¡¡¡) HOW WE PROVIDE OUR SERVICES? Your satisfaction and the integrity of your goods are our main concerns. This is why we invest in our business. We work with state-of-the-art equipment and maintained high tech vehicles. This allows our licensed technicians to execute every commercial and residential moving service in a prompt and efficient manner. i) RELIABLE AND HONEST – M&M moving services are very convenient for day or night shifting to your new place. We offers reliable relocation services taking 100% care of all your goods. ii) INSURANCE COVERAGE – In spite of taking all the precaution measures by our company, sometimes accidents can’t be stopped from happening. It is here that an insurance coverage can be of great help. M&M will pay for all your losses. ECONOMICAL RATES – Price is one of the most important factors for people planning to move. M&M provides you the best economical rates as we are budget moving specialist. PROFESSIONAL SERVICES – Our staff has only experienced and highly skilled employees. They will pack all your goods in correct manner and unpack the same at your new place. VALUE ADDED SERVICES – One of the most important service is providing additional services like cleaning the rubbish left in your old house, free packaging.